Eleven newsletters highlighting achievements and stories from the CEPF-funded projects were distributed to the learning network. These stories showed the strength of the partnerships established and the level of commitment by the projects in achieving their goals. SANBI in partnership with Wildlands Conservation Trust compiled a series of case studies highlighting work done by projects in the hotspot. The case studies focus on important lessons from projects that led to great achievements, innovation, collaboration and opportunities for sustaining the gains made by the CEPF investment. 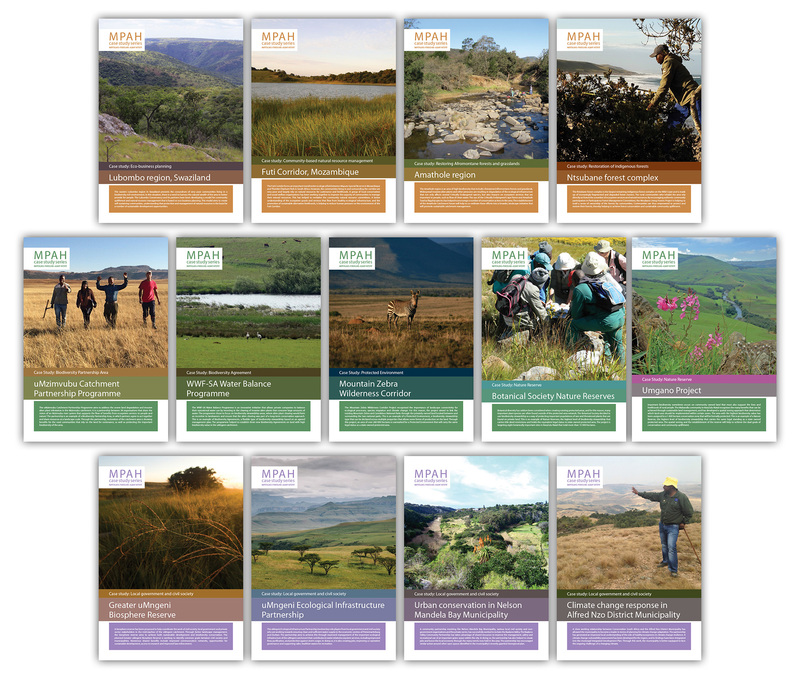 The case studies were grouped into three sets focusing on biodiversity stewardship, local government and civil society and strengthening community conservation across the landscape. The individual case studies can be downloaded below. Some of these case studies are available in Portuguese. This set of case studies highlights experiences gained from CEPF-funded projects working on biodiversity stewardship in the hotspot. These cases are a clear demonstration of how partnership with commitment ensures continuous improvement and expansion of protected areas in the hotspot. The second set in the series highlights examples of where local government and civil society have worked together in the region. It looks at striking a balance between securing critical biodiversity while looking after the needs of the affected landowners and communities. Topics covered under this set include climate change response, urban conservation, ecological infrastructure and establishing biosphere reserves. The last set in the series looks at the strengthening of community conservation across the landscape. It highlights the co-ordination of community conservation activities with a focus on the restoration of ecosystems in the Afromontane forests and grasslands and the management of community based natural resources. This set has a footprint in the three countries namely South Africa, Swaziland and Mozambique. These case studies are an important tool for communicating the impact and legacy of the CEPF investment with a wider audience. This film showcases the small timber growers of Ozwathini in Kwazulu-Natal working hard to get their timber and plantation certified by the Forest Stewardship Council (FSC). With the support from CEPF, the FSC and an appointed mentor, these small growers have developed an innovative multifunctional landscape approach to meet the principles and criteria required by the FSC. The film captures the lessons, experience, questions and challenges of the Ozwathini small growers in a way that spurs debate, discussion, and innovation. The film was produced by Forest Green Media on behalf of SANBI. Click here to link to the YouTube link for the film. In an effort to sustain the gains made by the CEPF investment in the MPAH, the Wildlands Conservation Trust and SANBI have developed a sustainability framework. This framework guides actions that support the sustainability of interventions in the hotspot. It focuses specifically on the funded projects and gives recommendations to Wildlands Conservation Trust on their future role in the region.